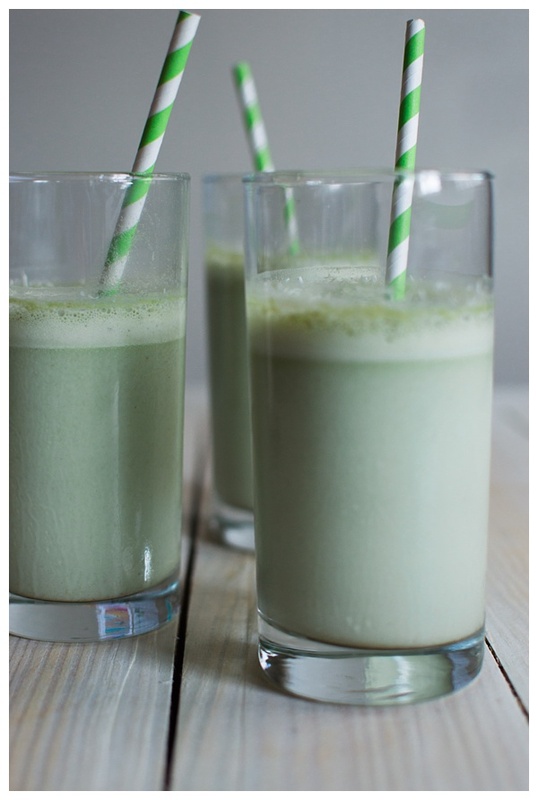 Matcha Smoothie — Make your mornings easy & healthy with this delicious matcha smoothie. 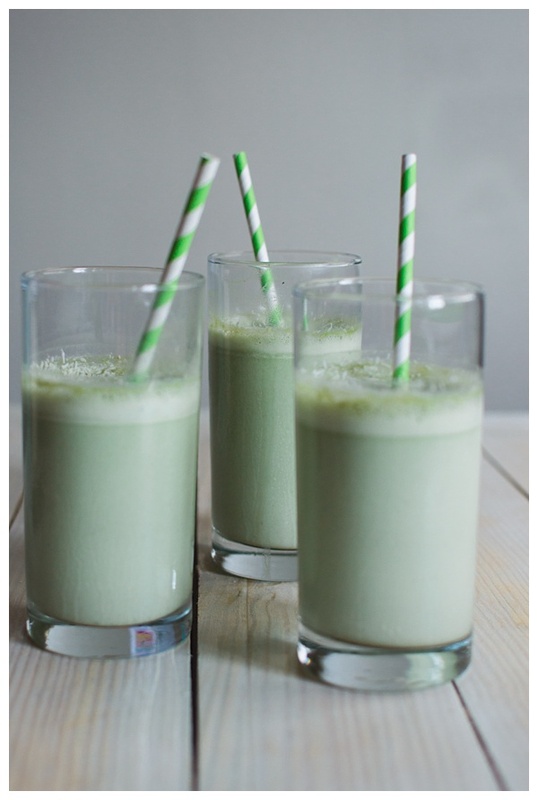 Made with almond milk, dates, matcha, and a hint of sea salt! I’m not much of a breakfast person. Well, I guess I should say I am not much of a healthy breakfast person. I will eat all of the pancakes, french toast, bacon and sausage I can get, but I would rather skip breakfast than convince myself to eat an egg white omelet. I know it’s not good to skip breakfast. Especially on the days I work out in the mornings and am ravenous afterwards. So this summer I’ve made it a goal to try to find easy, nutritional and appetizing breakfasts that I will actually enjoy eating. I’ve always been a fan of smoothies but I have a hard time with protein powder. 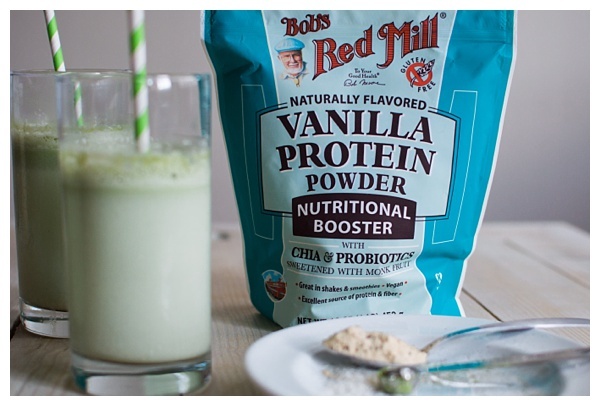 I was recently introduced to Bob’s Red Mill Nutritional Boosters and finally found a protein powder that I actually enjoy drinking. 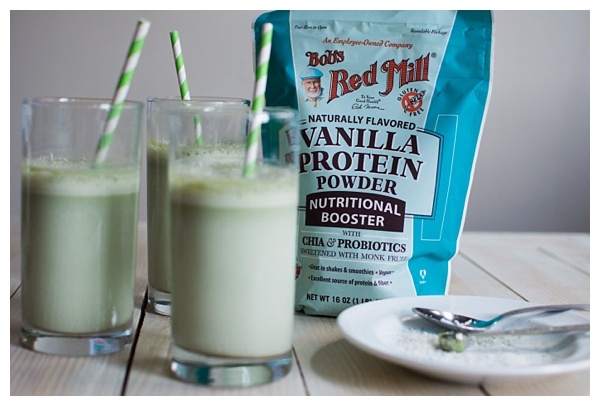 Bob’s Red Mill Nutritional Boosters are plant-based protein powders that are sweetened with Monk fruit. They are an excellent source of fiber and have over 20 grams of protein per serving. They also contain probiotics and pre-biotic fiber. Bob’s Red Mill is one of my favorite companies and I always trust their ingredients for baking. Now, I can incorporate them into my breakfast too! 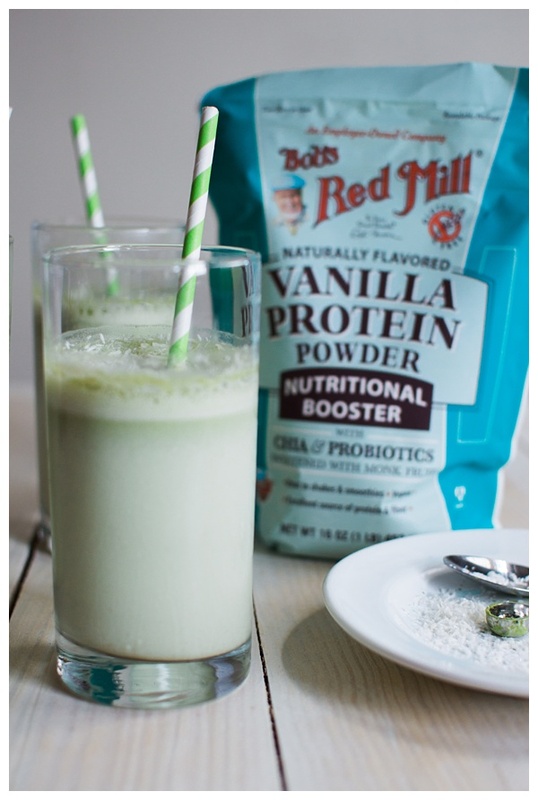 If you’re interested in trying Bob’s Red Mill Nutritional Boosters, click here to for a coupon to save $3. I love the vanilla but you could also try chocolate, chai or plain! 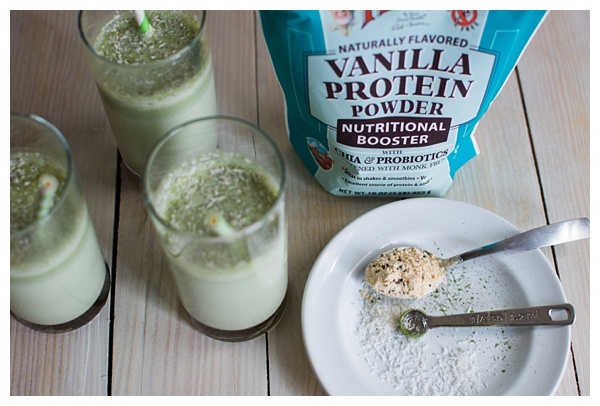 I was inspired by my favorite Matcha lattes and Matcha bubble teas and decided to do a smoothie with vanilla protein powder, vanilla almond milk, and a generous dose of Matcha powder. I added dates for sweetness and a pinch of sea salt to bring out the flavors. This is my new staple breakfast for summer! Add all ingredients except the coconut to a blender. Blend for 1 minute or until the mixture is smooth. 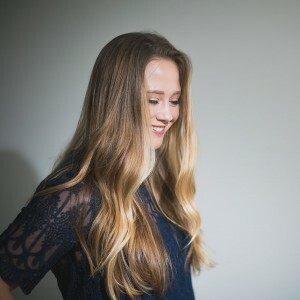 Pour into glasses and top with shredded coconut.